The SPL series is an end suction pump that has removable wearing parts which do not affect the pipe work and volute casing. 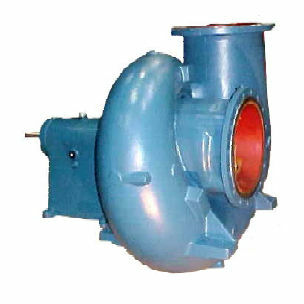 It has an open impeller as well as a closed one for the pumping of liquids which consists of rough media. The device has volute casing is attached with a wear ring and has support feet. It has spacious internal cross sections which enables solid contaminations resulting to an undamaged pump. It is commonly used in applications that includes irrigation and drainage for sewage works, pumping of raw water, seawater pumps in desalination, steel works for pumping minimal cellulose suspension and coolant pumps in power stations. This single stage suction pump, which is flanged to a bearing pedestal, is also suitable for applications that require pumping of hazy, clean or slightly contaminated fluids.